One of poker’s unwritten rules is never slowroll your opponent. It’s just bad etiquette and detrimental to the health of the game. However, that doesn’t mean it isn’t sometimes hilarious. In a recent $25-$50 no-limit hold’em cash game as part of Poker Night in America, poker pros Mike Matusow and Shaun Deeb were tangled up in a pot. Matusow held jacks while Deeb held fives. The flop gave Deeb quads, and when Matusow shoved his short stack in on the turn, Deeb astonishingly asked for a count. He thought about it for a little bit before calling. Once the cards were exposed, the table erupted in laughter, but not Matusow. 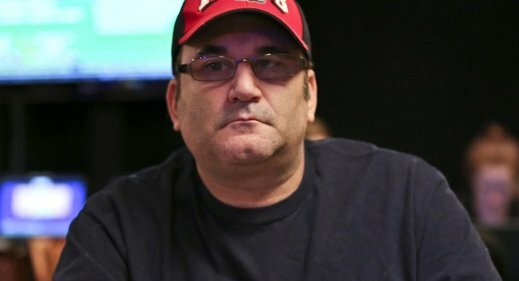 Matusow later said that he has never slowrolled anyone during his career and that slowrolls are “the only thing in life I don’t deal with.” It clearly had made him very upset. He then told Deeb that he would “punch you in the f—king mouth” if it happened again. The slowroll was epic, but it shouldn’t bother Matusow for too long. The stakes were pretty small for this group of poker pros. Matusow also won a bracelet this past summer. I would encourage everyone to slow roll Motor Mouth for life. I love the empty threat. As crappy as he treats people, he deserves that for life. He is a bad dude and a coward. Sounds like YOU'RE the real a**hole and coward. Like your jackass comments, slow rolling has no place in poker. You deserve all the bad karma you get in life. He is a convicted drug dealer and admitted drug addict. I have been at a table when he verbal attacked someone. So great! Where can I watch the full episode? when he was laughing it up when Helmuth took a bad beat. Sure he got over it.